The marriage rumors refuse to die when it comes to Blake Shelton and Gwen Stefani. Another report has surfaced that the two singers tied the knot just a few days before Christmas last year in the backyard of Stefani’s Los Angeles home. Since the story won’t go away, is it possible that the couple really did get married and didn’t tell their fans? Perez Hilton is reporting that congratulations could be in order for Shelton and Stefani after yet another report claims the couple had a country-themed wedding in front of 27 guests back in December. The claim is that the couple had a small ceremony before serving BBQ at a reception that featured square-dancing. This all comes just weeks after another tabloid published a similar story that the couple spent $23,000 on a pre-Christmas wedding celebration that featured a wedding cake from a local bakery. Stefani apparently walked down the aisle in a simple dress, while Shelton wore jeans and a button-down shirt. 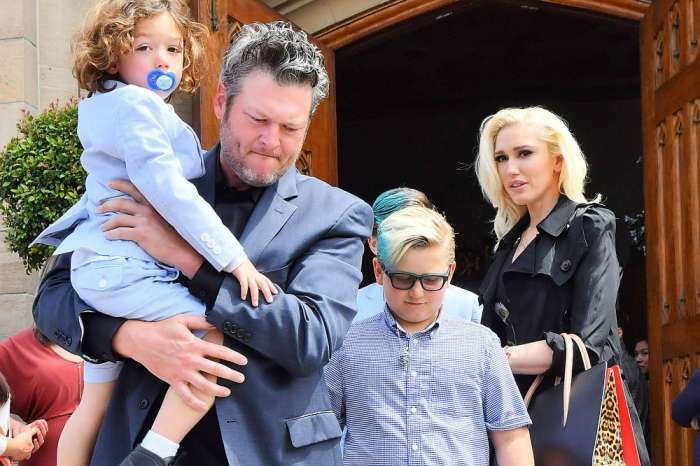 Stefani’s three boys, Kingston, Zuma, and Apollo were also in attendance and served as Shelton’s best men. But despite the matching reports, other media outlets are calling BS, citing sources who said just last week that the couple is in no rush to get married. “There is no reason for them to rush into a marriage, so they aren’t… Both of them are happy and content with where their relationship is right now,” reveals an insider. Shelton and Stefani have been dating since October 2015, and the wedding and pregnancy rumors have followed them ever since. 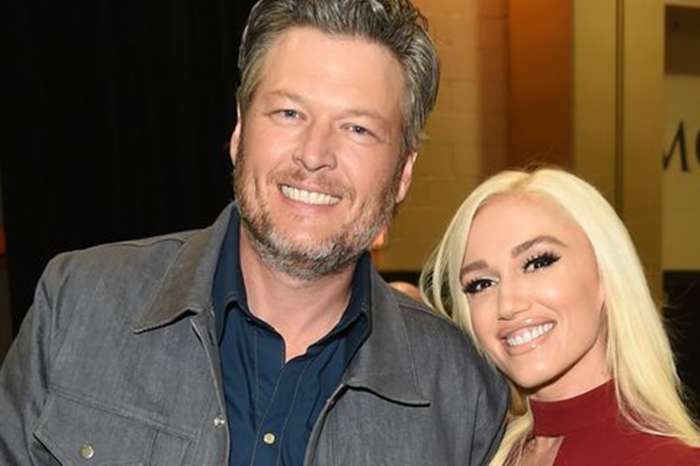 In an appearance this week on The Tonight Show, Shelton referenced Stefani as “his girlfriend,” so it should be clear to fans that they have yet to get married. In that same appearance, Shelton played a Name That Song challenge, where he went up against host Jimmy Fallon. In the game, The Roots start playing a song one instrument at a time until someone comes up with the right answer. The band started playing Hollaback Girl, but Shelton didn’t have a clue. Instead, Fallon rang in with the correct song title, but before giving his answer, he told Shelton he was in a lot of trouble. Shelton joked that he went on the show to promote his album, but instead, it ruined everything. He then asked The Roots to stop playing his girlfriend’s songs. But, they didn’t listen. When he came back out later for his interview, they played Hollaback Girl again as he walked on stage. 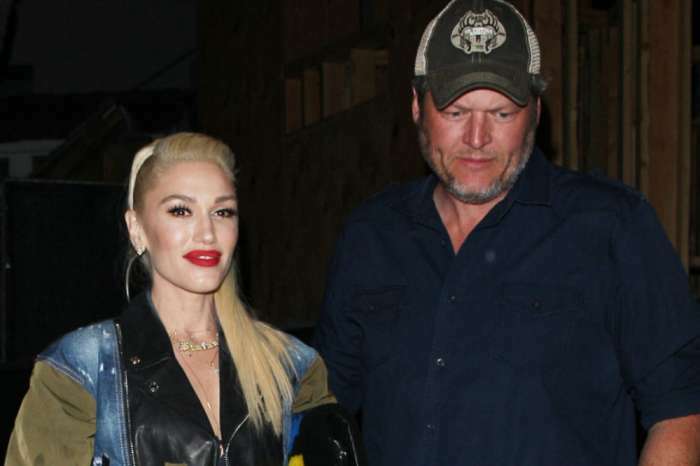 Blake Shelton and Gwen Stefani have not commented on the wedding rumors. In the first picture I got a vision of “Green Acres 2018.” He is like Eddie Albert and she is Eva Gabor.